Great Response. Thank You. | Artech Welders Pvt. Ltd.
Artech’s stall at Intec 2017 receives great response! 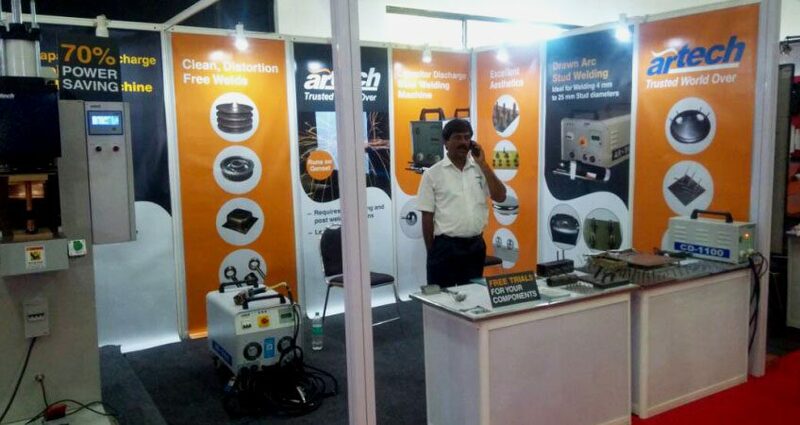 This was Artech’s 7th participation at the Intec, south India’s leading expo for engineering industries. Artech’s unique Capacitor Discharge Projection Welding technology is used by several leading companies from automotive to impeller manufacturers. “Our focus at Intec 2017 was to introduce the next-gen machines to the prospective clients in this part of the market. Intec 2017 also gave us an opportunity to showcase some of our recent projects with advanced automation to improve the productivity of welding processes”, said Gautam Khare, Director Marketing of Artech Welders Pvt. Ltd.
With over 100+ visiting delegates, Artech could connect to its existing as well as new customers interested in shifting to Capacitor Discharge Projection Welding technology.